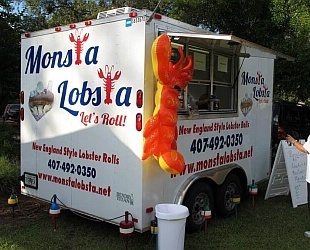 Food trucks are no longer found only at carnivals and fairs.They no longer sell plastic wrapped pre-made sandwiches to construction workers. They are not just set up outside your local hardware stores, so weekend do-it-yourselfer's can grab a quick bite. Food Trucks are appearing on street corners in busy business districts, outside commercial construction zones and development projects, law offices and court houses, as well as the obvious; fairs, expos and events. From the most basic traditional menus to trendy tapas, fusion cuisine, gourmet gastronome, diverse ethnic cuisines, ice creams and sweet treats to outrageous concoctions never thought of before! There are even food trucks that cater to the healthy noshers with vegan/vegetarian trucks like the “Randy Radish” or “Organically Twisted”. MOBILE MENU MAGICIANS COMPETE IN THE LATEST CULINARY CRAZE! The origin of our modern day food trucks dates back almost two centuries, to the days of the wild west and cowboys. They can now be found in many large cities all over America. Ever since, food trucks have become commonplace in the world of American street food and are part of an exploding food revolution. 1866 – The Chuck wagon is invented by Charles Goodnight to feed cattlemen and wagon trains traversing the old West. 1850’s – Dining cars begin feeding cross country train passengers. 1691 – New Amsterdam (now known as New York City) begins regulating street vendors selling food from push carts. In the United States, the Texas chuckwagon is a precursor to the American food truck.... Later versions of the food truck were mobile canteens, which were created in the late 1950s. These mobile canteens were authorized by the U.S. Army and operated on stateside army bases. On your next trip to Key West, don't miss out on the culinary delights you'll discover. 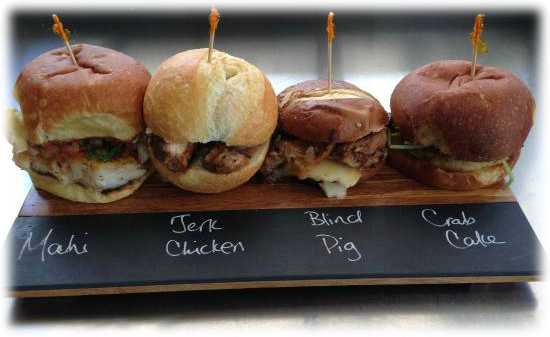 The Blind Pig and Garbo's Grill are just two of the many trucks to grace the streets and venues of Key West.